Google is in hot water in Europe for allegedly blocking competitors' services and products in search engine results, and the European Competition Commission isn't happy with the company's latest proposal to fix its antitrust problem. European Competition Commissioner Joaquin Almunia today responded in a press conference to Google's proposed concessions, which were submitted in April. He said the proposals "are not enough to overcome our concerns," and that Google needs to do better. He didn't set a deadline, but he did say previously that he hopes to have the case wrapped up by the end of summer. Google proposed concessions include clearly delineating its own products in search results and including links to at least three competitors' sites, as well as making it easier for advertisers to switch to Google's rivals, reported Reuters. But the European Commission and Google's competitors, including lobbying groups, agree that Google can do more. Those lobbying groups are reportedly pressuring the Commission to penalize Google if it fails to offer better concessions. Google, which research firm comScore says makes up 80 percent of the European search engine market, reportedly faces up to $5 billion (£3.27B, AU$5.4B) in fines if it doesn't get its act together. 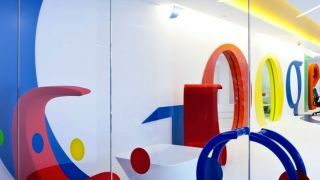 A Google spokesperson reportedly told Reuters that the company will continue to work with the EU competition authority. TechRadar asked Google to provide some insight into the situation, and we'll update this story when we receive it. The search giant was forced by the Federal Trade Commission to make some concessions in the U.S. as well last year.